Camp Apogee is a unique summer camp program offering a blend of S.T.E.A.M. 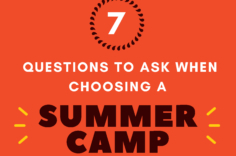 enrichment activities and traditional summer camp offerings all in one day. Hilltop’s S.T.E.A.M. 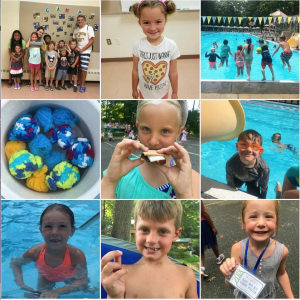 Summer Camp, in collaboration with the Lake Mohawk Pool, represents a totally new approach to a summer camp in Sussex County. Campers will tinker, discover, and investigate integrated Science, Technology, Engineering, Art and Math challenges each morning at Hilltop, and then spend the afternoon swimming, and playing a variety of outdoor sports and games at the Lake Mohawk Pool. Full Day: 8:30 a.m. to 4:30 p.m. Follow Camp Apogee on Social Media! Stay in touch with weekly video newsletters, photos and more! Hilltop’s Full S.T.E.A.M. Ahead Summer Camp is a place where our youngest campers will tinker, discover and investigate integrated Science, Technology, Engineering, Art and Math and have outdoor water play, games and activities on the scenic 4.75-acre Hilltop campus. 10 Week program beginning June 10th. Why Choose An Accredited Camp? ACA accreditation assures families that camps have made the commitment to a safe, nurturing environment for their children.